Pop. 876,184Granada is in Andalusia, southern Spain, nestled at the foot of the Sierra Nevada mountains. From the time it was settled, it was ruled by many Caliphs, Arabic Sultans, and dynasties. It was once part of a great Arabic empire that stretched up into northern Spain but later was turned into a Catholic monarchy. The Albaicin district and Alhambra citadel, the latter recognized by UNESCO as a World Heritage site, demonstrate the influence of the Islam during the Moorish period. Granada is a popular place to go study because of Granada University, thus Granada’s population changes a lot due to its large tourist and student population. 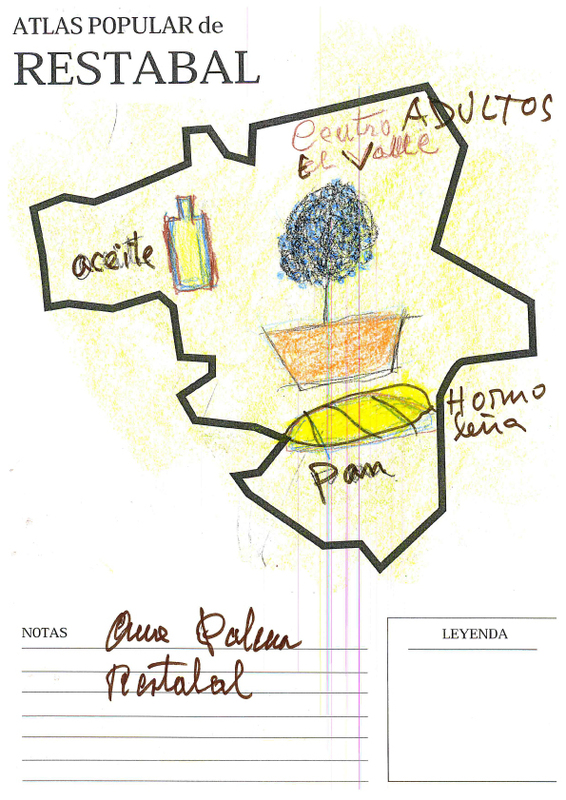 Notes: The organizers of Transductores wanted to engage educational groups visiting their exhibition from all over the province of Granada and therefor developed blank NPA maps for each of the villages/cities where the visiting groups lived. The exhibition featured a wall installation of NPA maps from Chicago and a clothesline with all of the blank maps of Granada that were gradually replaced with completed maps as educational workshops were conducted throughout the exhibition period.